Individuals with disabilities can fund their own trust. This can be important to those who are at risk of losing their eligibility for government benefits such as Medicaid and SSI because they have excess resources. Contact us to learn more. Planning for the future is critical for individuals with disabilities. Whether you are a family member, a person with a disability, an attorney or a professional in the field of disabilities – we’re here to help. 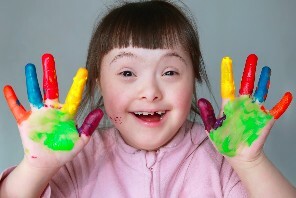 Southeastern Trust is the Operating Trustee for Friends of Special Children Pooled Trust. Friends of Special Children serves as the Managing Trustee. Whether you are an attorney, financial planner or a provider of services to people with disabilities, we are here to assist you and your clients every step of the way. Contact us to establish the trust that will best meet the needs of your client. Planning for the future is important, regardless of your child’s age or your age or disability. Friends of Special Children (FOSC) Tennessee Pooled Trust was established to serve the needs of families who wonder what will happen to their loved one after they are gone and for people with disabilities seeking a way to fund their own trust. A special needs trust is an irrevocable trust established for the benefit of a disabled person. The disability can be physical or psychological. The disabled person is the beneficiary of the trust and the trustee distributes funds, according to the trust document, from the trust for the benefit of the beneficiary. A special needs trust enables the beneficiary to enhance their quality of life and provides resources beyond what governmental assistance provides. 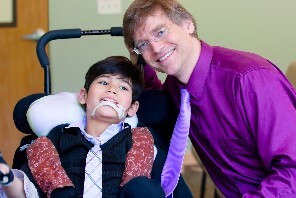 Special needs trusts require a special trustee. We are an experienced and compassionate trustee who works with families to help ease the burdens associated with caring for someone who has special needs . We have extensive experience in building or renovating homes to accommodate accessibility needs. We understand that parents of children with special needs have circumstances that require access to a network of providers who are trained to assist families overcome “red tape” and obstacles. Our work brings many children into our care and we take that very seriously. We also work with adult beneficiaries to help them maintain as much independence as possible while dealing with a disability. Our knowledgeable staff has over 120 years of combined trust experience as we help families and individuals navigate the complex rules associated with government benefits and eligibility guidelines. A special needs trust can be created with the disabled person’s own accumulated assets or when there is a personal injury lawsuit and the disabled beneficiary receives a settlement. The settlement funds can be made payable to the special needs trust for the benefit of the injured person. This type of trust is called a First Party Self Settled Special Needs Trust. A special needs trust can also be created as part of your estate planning. This allows you to create the trust for a loved one at your death by transferring your assets or life insurance proceeds to the trust at death. This type of trust is called a Third Party Special Needs Trust.